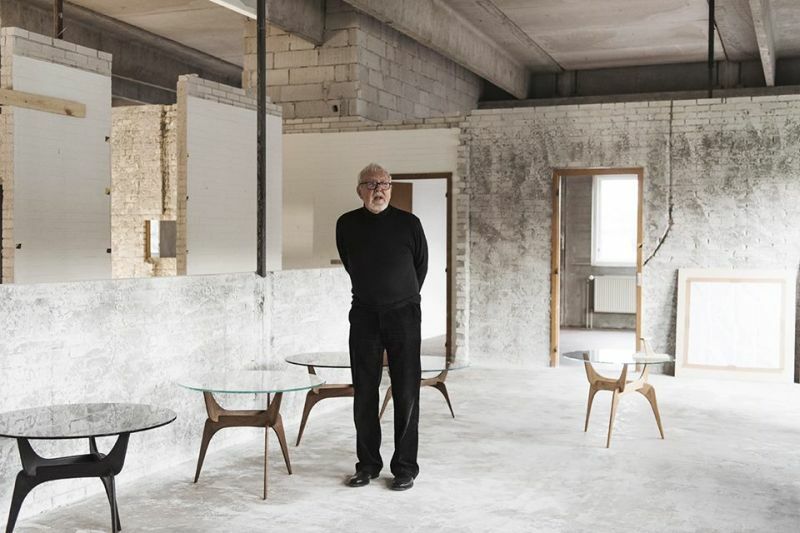 Danish design veteran Hans Bølling’s tables from the '60s were just brought back to life by furniture company Brdr.Krüger at IMM Cologne a few weeks ago. Bølling told Dezeen that it has been an immense joy to experience a sketch and prototype he made when he was 27 years-old in the hands of the skilled craftsmen at Brdr. Krügers workshop; to see them work their magic and witness how simple and elegant amendments have transformed his original sketch into three present-day tables with timeless quality. The Triio table collection will be available as a side table, coffee table and a dining table, with different finishes and tinted glass tabletops. By combining a playful design in wood with a glass top, the tables create an almost poetic harmony between the simple and the sculptural, values that also characterise the period when the tables' first lines were drawn. 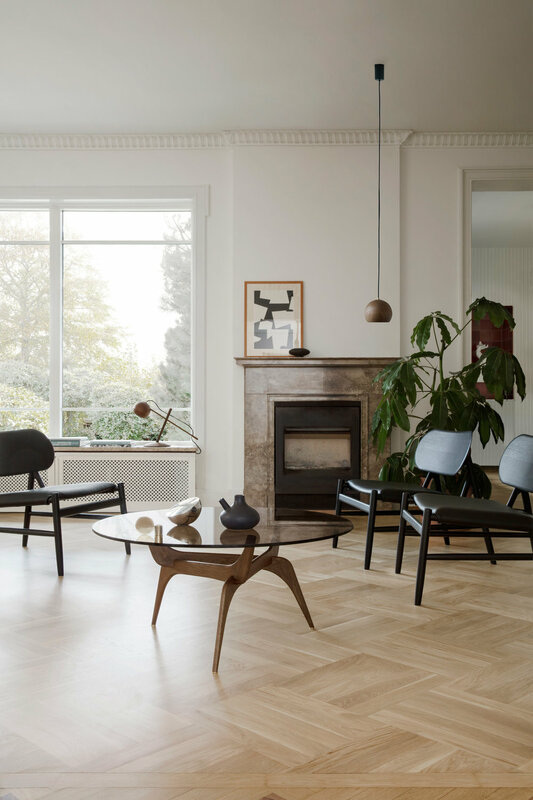 The Krüger family has had a close relationship with Hans Bølling for three generations, ever since the beginning of his architectural career in the 1950s. It was the shared passion for wood that brought the family and the architect together. "Brdr.Krüger has maintained a strong relationship with Bølling. He is like family to us. For me it has been a great personal privilege and a real pleasure to work with an architect who has worked closely with my father and my grandfather before him," says Jonas Krüger, fifth generation and creative director at Brdr.Krüger. "It is incredible that he at age 85 still has his own studio and is bubbling with ideas." Hans Bølling's work is known for its playfulness, humour and wit and he is most famous for his small wooden figures. Brdr.Krügers inspiration from the aesthetics of the mid-century Danish modern movement and Bølling’s original design, has captured both their design philosophies in one collection. The playful and poetic design is reinterpreted for a contemporary audience — a result of many years of passion and skill.